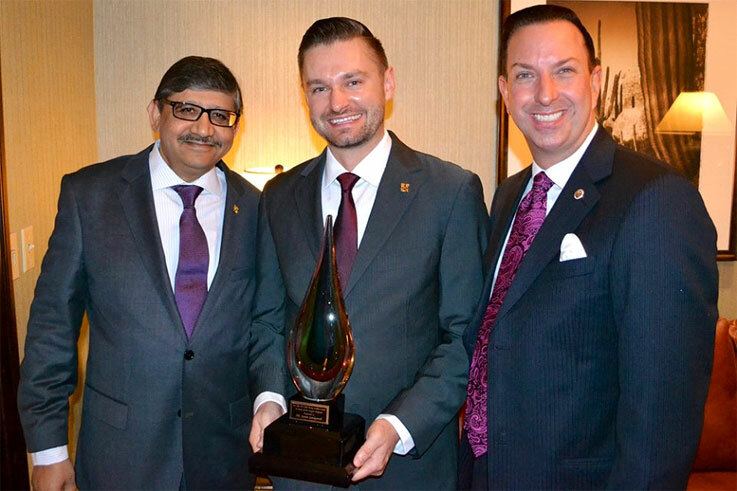 San Diego, CA (December 5, 2015) – President of the San Diego Concierge Association, Justin Sondgeroth, was announced as the winner of the 2016 Young Leader Award for Les Clefs d’Or, USA! Justin will be the Andy Pongco Award nominee and delegate for the United States at the 2016 International Les Clefs d’Or Congress in Dubai in April 2016. At this conference he will compete with over 15 delegates from around the world for the Andy Pongco Award. The Andy Pongco Award was established at the 55th Les Clefs d’Or International Congress in Denmark, 2008 to honor the memory of Andy Pongco (an international honorary president), by recognising and encouraging young members to become active participants in the global network. The prize for the recipient of this award is an invitation to the next Les Clefs d’Or International Congress (registration and airfare included).